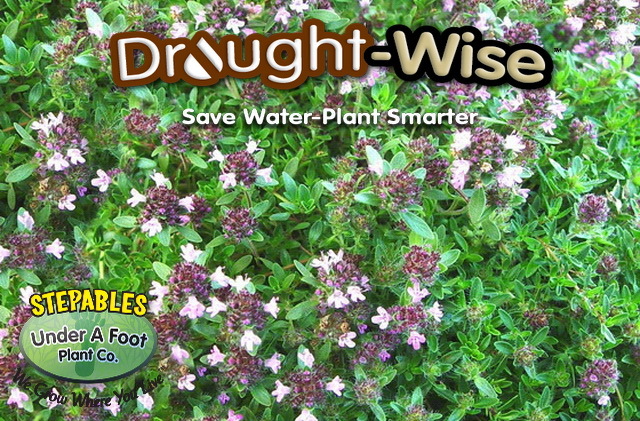 This creeping thyme forms a tight grip on the ground to make an impressive lawn substitute and border plant. Deep green foliage has nice fresh scent of lemon when stepped on and explodes in late spring with carmine-pink flowers.Use around roses, in containers or as a curside planting. This plant needs sharp drainage to succeed. Over watering will impair growth. 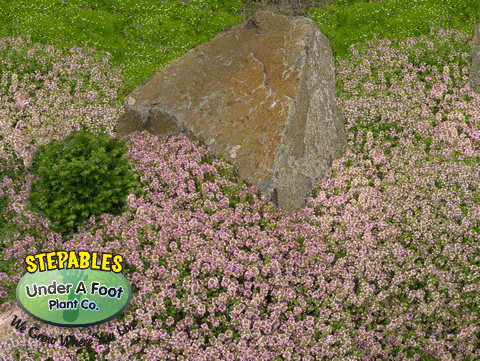 Thymus Magic Carpet is yet another one of the “newer” thyme on the market. Its leaves form more of a point than other thymes and have a unique citrus scent to them. I think the bud and bloom phase is what sets this plant apart with its deep purple bloom that opens to a light pink flower. Ok… it might be the orange scent too.